SAN DIEGO—The Dingy Doctor in San Diego is under new ownership and management, it was recently announced. 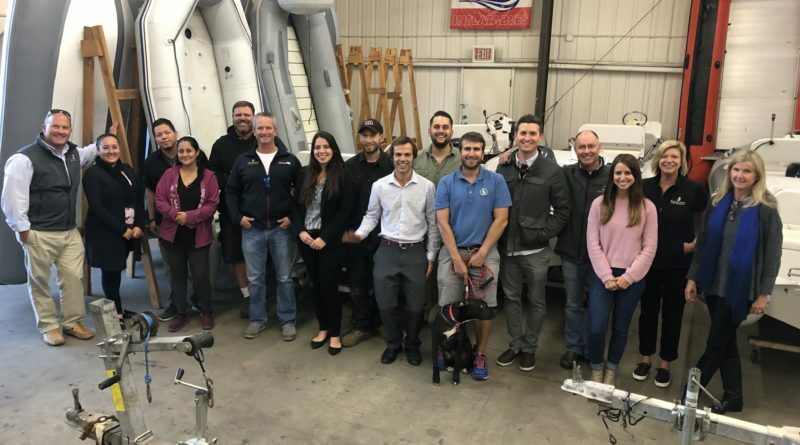 A new group now owns and operates the inflatable boat and outboard company, which was sold when the previous ownership group decided to pursue other endeavors after 18 years with Dinghy Doctor. Barrett Canfield and Rick Day of South Coast Yachts are the new owners of Dinghy Doctor. They heard about the previous ownership group moving on and decided to step up to prevent the San Diego boating community from losing what they considered to be an important vendor. Canfield and Day were able to assemble a proposal and deal to acquire Dinghy Doctor. Once the transaction was complete they brought in Charlie Winter as general manager. Dinghy Doctor, which is close to where the 8 and 5 freeways meet, will continue to carry well-known boat brands, such as AB, Achilles, Caribe, Honda, Taurus, Tohatsu and Yamaha. Canfield added the existing team at Dinghy Doctor reminded him of those he worked with at South Coast Yachts. Visit Dinghy Doctor at 3302 Kurtz Street in San Diego. Boaters can also reach the company by phone at 619-384-2733, email at Charlie@dinghydr.com or online at www.dinghydr.com.